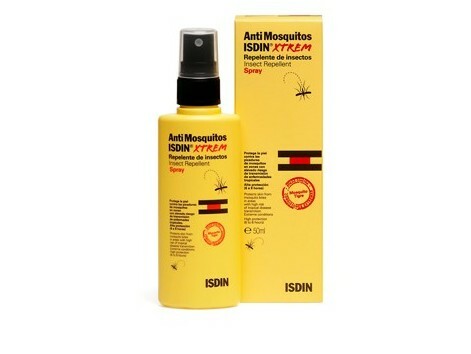 Mosquito spray 50ml isdin Xtrem Recommended for areas with high risk of transmission of tropical diseases ISDIN Mosquito repellent containing the active ingredient IR3535 ® Insect that combines very favorably efficacy and safety with excellent cosmetics. 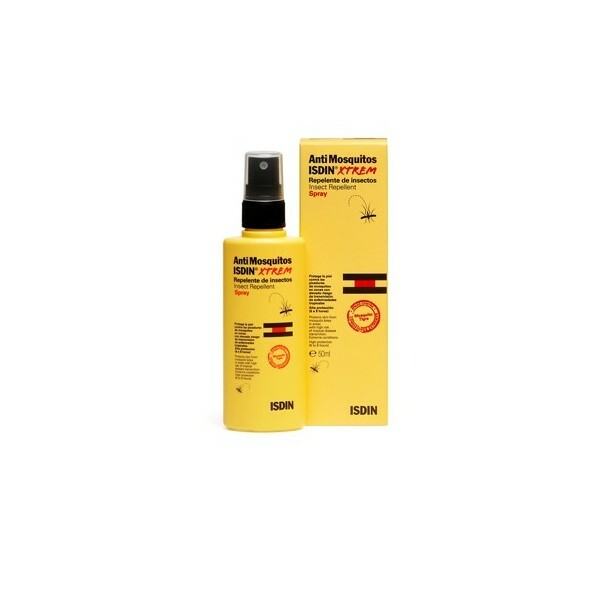 Proven efficacy against multiple species of mosquitoes and other insects. Broad spectrum protection, effective against the tiger mosquito. How to use Applied and spread evenly on the skin areas to be protected. Do not spray directly to the face, but apply it with your hands, without contact with the eyes and mouth. Wash hands thoroughly after applying the product. ISDIN mosquito repellents can be used in children aged 2 years and adults. Avoid contact with eyes, mucous membranes, sensitive or diseased skin and wounds. * Use biocides safely. Always read the label and product information before use.